/ Modified oct 5, 2018 10:12 a.m.
AZPM's Christopher Conover with Tucson Police Chief Chris Magnus. 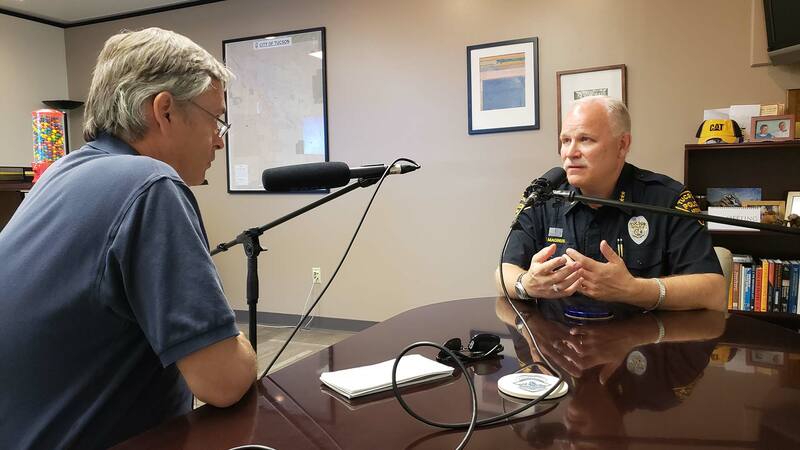 This week on The Buzz we learn about local policing, from dealing with a rising murder rate to serving 60,000 people in less than a square mile. Your browser does not support the audio element. The Tucson Police Department is working to increase the size and diversity of its police force. TPD Chief Chris Magnus says the department currently has roughly 800 sworn officers, including detectives, administrators, and special units, with another 60 officers in training. “But we need more than that,” Magnus said. In the meantime, he says TPD has added new ways to serve the community that don’t require an in-person officer visit. “Online reporting, reporting over the phone, all of these are strategies. Do they compensate for the lack of staffing? Not entirely. But they certainly help,” Magnus said. In the era of increased scrutiny on local policing, Magnus says he understands the historical problems that have led some community members not to trust the police. A UAPD vehicle parked on campus, outside of the Second Street Garage. 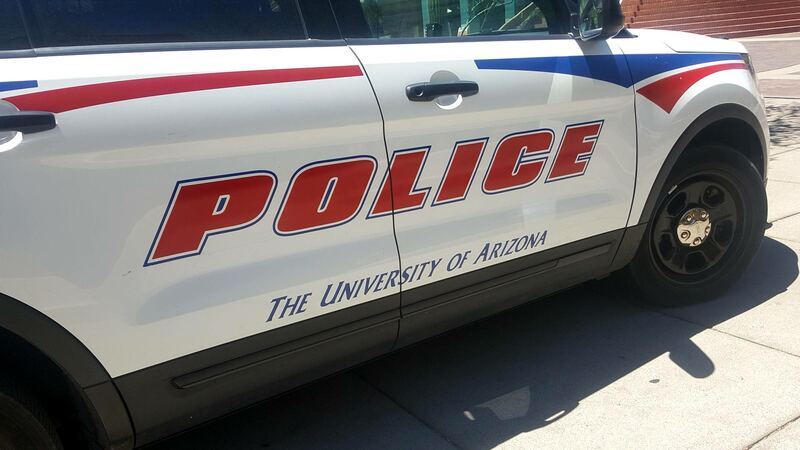 When you think of major police agencies in Tucson you might not think of the University of Arizona, but with 60,000 people moving on and off campus every day, the UA is like a small city in the heart of town. Seastone says the university population is a unique community to work with from a policing standpoint, with most crimes centering on theft, drugs and alcohol and sexual assault. “Kids going away from home for the first time, you know, flexing their wings. Like we tell the parents and students during orientation, we’re a police department but we are here as educators as well,” Seastone said. UAPD has 66 officers and nearly two dozen police aids.